Saku has red hair with blackout layers. His eye's are the coler of the ocean, and his eyebrows are a little puffy on the edge. Also Saku keeps the first name of his mother on his forhead, to remeber his mom. Saku wears full-length dark trousers, with a pair of laces on each leg, respectively a few inches below the waist and the knees, a long-sleeved crimson coat with flaring hemlines on the front and the back, a grey holster vest held in place by a single strap over his left shoulder and by two buckled belts which he uses to carry his gourd. He also wears another pair of casually worn belts around his waist. He is also seen wearing Kazekage robes, and a simple black tunic-trousers suit, the latter one greatly resembling Kankurō's suit from naruto, and worn for the memorial of Elder Chiyo from naruto. All the time, he has been seen wearing Desert standard shinobi sandals.He added his village's flak jacket to his standard outfit. Personality:Saku is or could be your favorite kage, but not friend. Why? Because Saku is a very bossy man, he believes he must do anything to keep the name of Arenokage. Saku does not believe in friends becuase he always was betrade in life. Saku spends his time training the young ninja, because he believes that you might learn something new everyday just by spending time with the young one's. One of Saku's favorite hobby is too gather information, thats why Saku is mostly seen around ninja from the spy corp. When it come's to fighting its one of Saku's best, when fighting he actually thinks more often then he really should. For that Saku is known as bossy,agressive, and not friendly. Other:Has magnetic chakra, and can manipulate sand telepathically. The birth of Saku: A sad start. Saku was born on March 12, the same day of his fathers birth. The winds where blowing hard in the dessert village, it was stronger than ever, the people could not even walk without being pushed back.''Push!'' The medic ninja would scream. Saku mother gave birth, and strange..the sand stop its rath. Saku father was not around because of the meeting beetween the Swamp kage, and Dessert kage. Saku's father was a bodyguard for the Dessert kage in that meeting. The meeting passed, and a few days later Saku's father arrived. He was exited to see his son, he soon got to see his son Saku. He smiled with joy...but his smile soon left after finding out that his wife died, of child birth! Saku was raised by his father because of his mothers death. Saku's father did'nt want too tell saku, So he lied and said that she died in a Srank mission. Saku was in the dessert academy, he trained hard like everybody else that was a student there. Saku father trained him aswell. One day Saku's father wanted two see how strong his son was getting, so he took him the the training field and began training with his son. It took awhile, and in that time they had a good time. But Saku's wanted to get a little strong on his son to see what he can do! Saku went all out, but in the end it was not enough.Saku's father was to strong for the boy, but something happen.Saku's chakra started going of the charts, and evan crazier the sand around him started turning into a iron sand. Saku's father was scared in the moment because he never seen nothing like it. Saku's father pouch started to shake, he did'nt know what to do, but all he can do was knock him out. Saku was tooken to the medics, and they said that Saku had magnetic chakra. Genin Time: The death of a loved one! Saku became genin at age 12 like most of the students. His father was very proud, and when Saku got home there was a surprise for him! Saku's father had a scroll, Saku opened it and saw many writings of jutsu. About 20 of them, Saku's father said these jutsu where gonna help till Saku became jounin. The scroll had E ranked trough B ranked, Wind element also Sand techniques. , It was his father. Saku cried and screamed for help, but people stayed still in sorrow. It was the end for Cauzi Natia. That year the chunnin exam was held in the village hiddin in the Dessert. Thousands of young ninja's could be seen near cave of Geeku! It was said the Kazekage wanted it too be the best chunnin exam, So he created a forest in the biggest cave in the village. When the exam began, genin got ready. ''Ok squad lets do this.'' Said Saku two his teamates. Saku and his team went of into the cave, the cave was a forest like said to be. Ninja from all villages had two gain 2 scrolls and get to the end. Saku's team did that and got two the end fast. At the end a gate, Saku and his teamates open it and saw a few ninjas. The area was a battlefield with Hundreds of people in the crowd screaming. Saku vs Jugan! the screen said it perfectly. ''Ok for dad i will win!'' said Saku. The ninja Jugan had many pouches and was from the mystery village. Saku had a hard time becuase of Jugan speed, saku was getting cut with weapons. Jugan had seals on his palms, that could sommon any metal weopon. Saku was at his end he did'nt know what too do, but then something told him in his head two unleash the true gift of your chakra. Saku was on his knees, and multiple weopons where coming quikly and deadly. But they all missed like nothing, at first people tought it was Jugan's aiming. It was'nt, it was Saku's magnetic chakra. Saku did handseals and the sand attacked Jugan. The sand was Iron. ''Boom!'' It hit Jugan, and send him flying the battle was over. Saku won and became chunnin because of the victory. After becoming chunnin, Saku was determine to become jounin. So he began to train harder, sparring his sensei and teamates. Saku completed many missions over his chunnin years, and was evan awarded for it. Saku became jounin at the ageof 17, and was picked to be a anbu captian in his village. So he did, Saku was a anbu captain of district 8, wich was a anbu area for the village. Saku had hisown squad, and went on higher ranked missions. Saku found himself into deadly positions in almost all of them. The kazekage went missing one night! The elders called head anbu leader of district 8 for a meeting. Saku's team was assigned for a mission, it was too goo to the village hiddin in the swamp. Saku accepted it, so did his anbu squad. They left the village hiddin in the desert, and was headed to the village hiddin in the swamp. Saku and his team got there, Saku mission was to talk to swamp kage, too see if he knew anything about the kazekage since the two kages had a bond for many years. Saku and his squad where sarrounded by ninja, one of them being the kage of swamp. They attacked Saku and his squad, killing them all. They believed they killed them all, but Saku lived but sufered badly. Saku could not travel back too the village, so Saku went to the nearest village. It was a small village but they treeted him, and he gave them ryo. Saku stayed for about a month. Saku was ready to return too his village. He packed and shiped of, saying goodbye to everyone that he created a bond with, over the month. 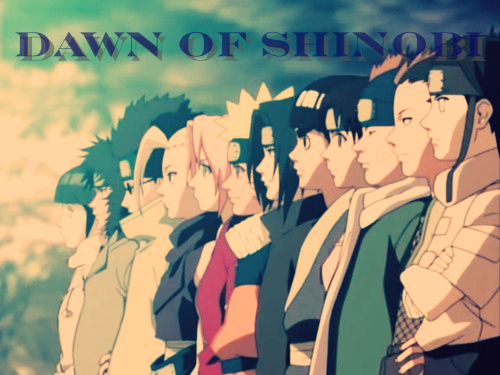 When Saku returned the village was still without a kage, still being under the elders. Saku headed into the village searching for the grand elder. He delivered the bad news, that the swamp betraid the desert village. The elders where'nt pleased, and wanted revenge! Becoming a sand element master! The elders were going to start a war with the Swamp. So Saku wanted revenge too, so he wanted to become a master at his sand manipulation. Saku went to one of the best sand manipulaters, Cosuu Gasato a grand elder. Saku trained for 2 weeks, and went trough alot of pain. When Saku got the hand of it, Cosuu was gonna teach the final step. It was said only he could use it, but Cosuu told Saku anybody could use it, but they had too be tought first. Cosuu had to spar with Saku, the battle was big. In the end Cosuu won, but Cosuu said Saku was ready. They trained day after day, and Saku finally learned the final step. It was a great ability, it was the ability too use sand manipulation telepathically. Saku mastered the sand element,and its manipulation. 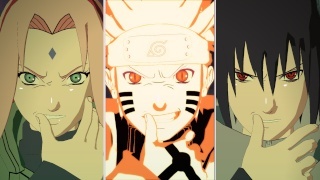 The elders wanted somebody to lead the war, and be the new Kazekage. The wanted somebody strong, with no fear. They picked the leader of the Anbu district 8, but he tought he was not up for it. He said Saku was more like a Kazekage then he was. So Saku became the new Kazekage, and promised that swamp would get there day. Saku wanted no war, but the bond with Swamp would be destroyed. The statue in the Desert village with the swamp sign was tookin out. The new Desert village began, with the new Kazekage Saku Natia. Sand pot-A large pot that holds great amount of sand, good for sand techniques.This slows down Saku in speed. Medium pouch-Holds Kunai, plus shurikan. The desert village being attacked, world ending, and always being a virgin. Yakate I've already spoken to him. >>; Nah. Might fight for it in the process of RPing though. And. >/ It better be epic! Once i see a Bio/History your approved. But NOT until i see one. Hi, hi and nice to meet cha, future Kazekage. If that is the title you'll use. Just a few lil things have to be clarified and changed. First, the title above your picture. Except if your name is "Last, First", you have to change it. 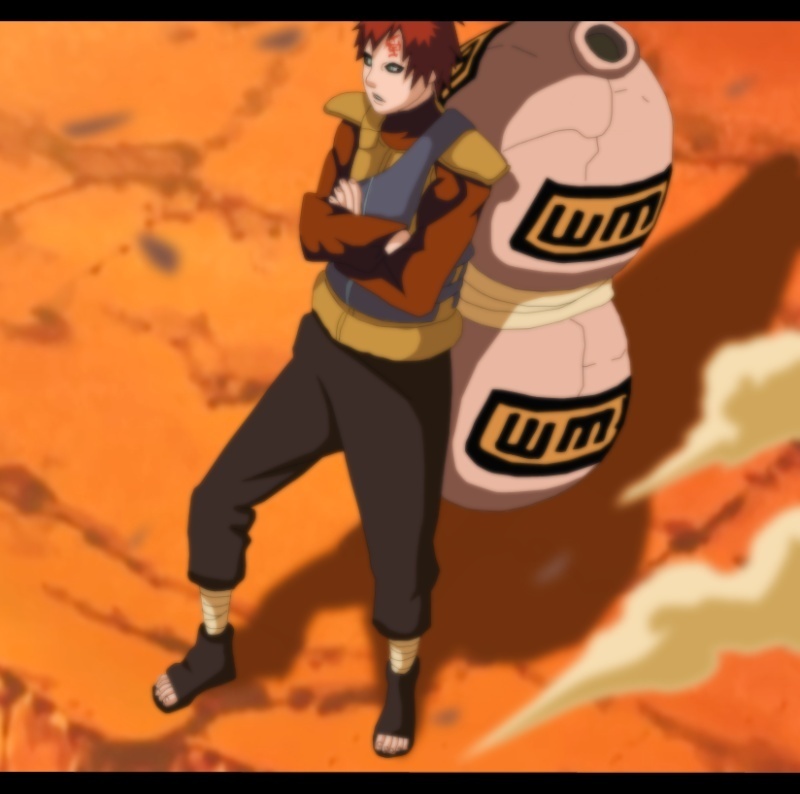 Second, If possible, try not to copy Gaara's outfit and appearance. D: Of course you can have ressemblances, but don't make to obvious. Thank you. Also, develop your facial appearance and such. Not just the clothes. Thirdly, your personality is contradictory. For that Saku is known as nice,bossy,agressive, and not friendly. ...You can't be nice and not friendly at the same time. And you can have friends, even if you are bossy. Please work on it. Erm...centimeters, kilos, pluffels? What are they? I want one, even if it's only two paragraphs. It's required and the minimum to put in a profile. Sand pot-A large pot that holds great amount of sand, good for sand techniques. Seventh change, spelling errors (trader in your fears is most likely traitor). Um Yakate i got offline before i could finish so please don't rush me.Look i em in the 7th GRADE i'm only 12 and i got bad grades. So my computer time is limited. Sorry if i sound mad but everybody is all up on me so please GIVE ME SPACE! I will get everything completed as fast as i can. Ok ok, um sorry yakate if i got you pissed, i'm not that type of guy. o3o;; Just finish your profile. And us mod people don't do 'pissed'. 8D So don't worry. I hope i'm done, and i wanted to know if i could keep the image of gaara please. Its not that big of a deal right? It looks fine now, but I'm like. D: Sleepy. I haven't read the bio, either. It's fine, but I recommend waiting for Asako to approve it before you RP. But again o_o I'd like to see a written description of your character's face. Thank you, and I will edit my face.